Lexus has revised its LS 600h hybrid limousine adding more high-tech kit, better brakes and subtle exterior changes. 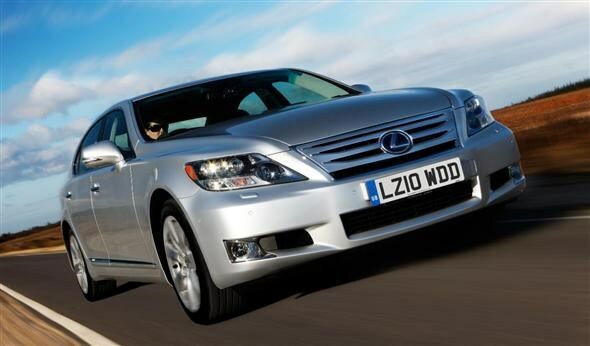 The 2010 model features Lexus's new rear seat relaxation package for the reat seat behind the front passenger and it is available as an option on five- and four-seat models. The package includes an electrically adjustable ottoman foot and thigh rest as well as an adjustable massage function that can replicate techniques from Shiatsu to acupressure. A seat cushion airbag is also fitted and, to give a clear view, the front passenger headrest can be electrically folded down. The seat also has electric recline adjustment. A climate control system that monitors the passenger's body temperature and adjusts accordingly can be fitted and the four-seat version features a fixed centre console with a built-in cool box. Customers can also opt for a roof-mounted nine-inch LCD monitor on the four-seater while the five-seaters get the screen in the centre console. An automatic high beam operation, adaptive front-lights that swivel the headlamps to improve illumination through bends and the addition of Brembo brakes promising a 12% improvement in stopping power are also featured on the revised LS 600h. Prices range from £87,440 to £96,645.